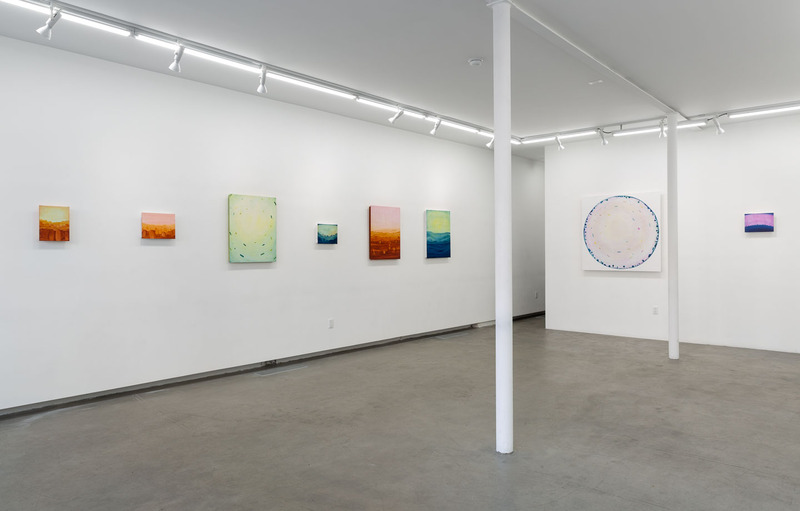 Painter, Adrian Marçais, and Photographer, Thomas Aschcraft, have very different trajectories in life, and represent disparate styles of creativity, yet share an equal fascination with the vibrations of mysterious outer space. Shortly after meeting, the two artists decided that they would team up to debut an impressive survey of their works uniting the scientific and secular examination of outer-space with an added spin of quasi-religious, and tribal mapping of the cosmos. The title of the exhibition, My stars in the sky rustled softly, inspired by the French poet Arthur Rimbaud, attests to their alternative assessments of the heavens above our heads. 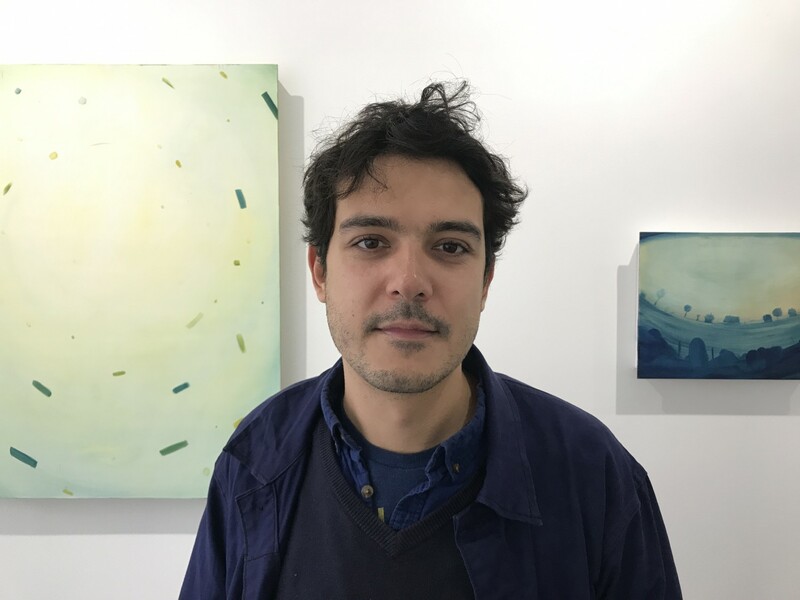 Marçais’s studies in cosmology trace the unseen particles in the air, which he then maps onto wooden canvases. The fun doesn’t stop here; he adds figurative components to his paintings like the Mexican Kachina dolls levitating joyfully around in celestial space. Indeed, it is the magical flying debris that ties both artists together, yet the interpretation of it also sets them apart. While Ashcraft uses an infra-red camera to capture transient objects that resemble amorphous cotton candy like shapes in the sky called sprites, Marçais envisages his otherworldly vistas with phantasmal objects and dreamy landscapes. “I lived in Africa and the energy and the openness really inspired me,” explains Marçais. His time in Senegal and Mali showed him a completely unpolluted aspect of reality that stood in stark contrast to the one he observed in France as a teenager. The years he spent in Africa translate into his use of colors and an array of tribal symbols. Marçais’s admiration of Latin American and cultural references from this part of the globe often speak in his artwork as well. Ashcraft is an artist-scientist who established the niche Observatory of Heliotown near Santa Fe where he monitors the galaxy with specialized homebuilt cameras. 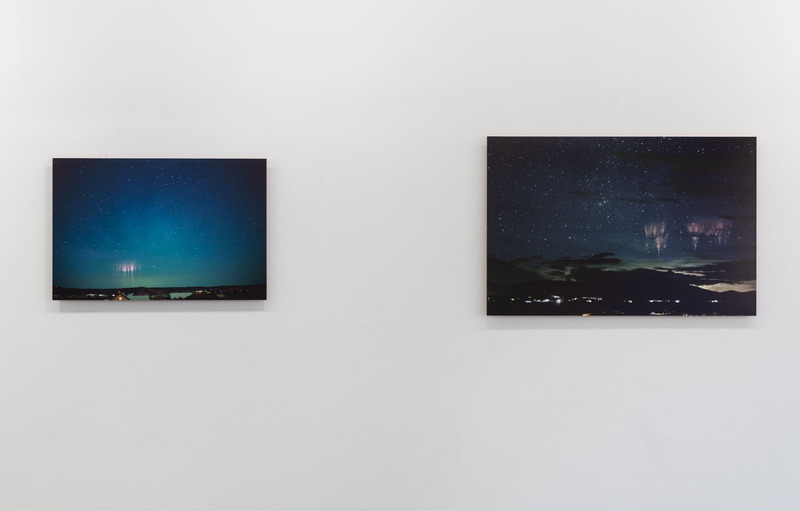 His repertoire brought to Parasol Projects portrays an alternative “vault” in the atmosphere, featuring flickering and luminous clusters in the sky called sprites. Sprites cannot be seen with the naked eye, and are something of a fetish of outer-space aficionados since they were first recorded by scientists in 1989 in Minnesota. “He is really avant-garde,” says Marçais when speaking of Ashcraft. Nevertheless, both artists can be considered avant-garde, for they serve up an innovative assessment of extraterrestrial life worth seeing. The show is a refuge from bland reality, offering a bold re-casting of the unknown cosmos surrounding us.